Google's Chrome operating system could mark a turning point in computing, but many questions remain. Today's rumor is the OS will be released to developers next week, answering some questions but probably raising even more. Google had previously promised Chrome OS, in some form, before the end of this year. Chrome OS strikes me as being just enough Linux to allow an underpowered computer to run Chrome browser and connect to cloud-based applications. How exciting can that really be? On a netbook, Chrome OS may be enough to provide mobile functionality. On a desktop, Chrome OS may turn a PC into a glorified terminal, relying on the Internet for nearly everything the user does. There are many questions about Chrome OS, some of which may be answered when Google releases whatever it decides to make available to make good its promise to release the OS, in some form, before the end of this year. Just how limited will Chrome OS be? What will and won't it do? Will it natively run third-party applications on the hardware where it resides? Or just to connect to applications in the Internet cloud? Will cloud apps need to be written specifically for Chrome? Will Chrome create a standard for the look-and-feel for cloud application? Might Chrome only run applications that Google hosts? Will Chrome require--or even use--a hard drive? Might Chrome OS netbooks have a small silicon drive and nothing else? When Google promises an end to security hassles, such a viruses, malware, or updates, what trade-offs are required? 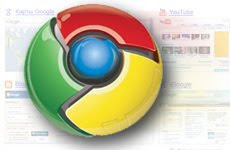 Google has previously said Chrome is intended to be lightweight and get users connected to cloud applications quickly. The company seems to believe that cloud apps will become pervasive and will not require a very powerful machine to run them. Thus, Google is creating a very lightweight browser (Chrome) to run atop what amounts to an embedded operating system (Chrome OS) running on netbooks (to be released next year). I also expect the OS to include Gears, Google's technology for offline access to its cloud-based applications. What will Chrome do beyond that? Maybe nothing. If Google really believes its cloud rhetoric and is really serious that Chrome OS will be virus-free, maybe the new OS won't run applications, just the browser and Gears? Add a robust security mechanism, to make certain the cloud-based applications and Web sites haven't been tampered with, and Chrome could be a more secure operating system than we're used to. If only by keeping the computer from doing anything besides interacting with Web sites and web-based applications. I find that idea strangely attractive, though it will certainly result in devices with limited functionality, just like today's netbooks. However, performance may actually be better since netbooks could be freed from laboring to run Windows and heavy Windows applications. Google Chrome OS introduces a new computing model and may even change how we think about operating systems. Its importance hinges upon how widely and quickly cloud applications take center stage, what trade-offs customers are willing to make, and most importantly, what Chrome OS actually turns out to be.